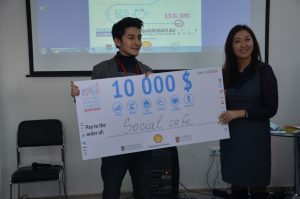 Organizers of the Social Cafe in Astana have recently opened a crowdfunding campaign to support the initiative. 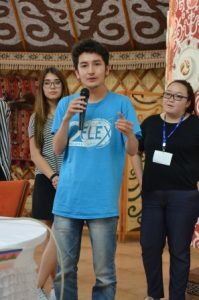 All of the funds raised will help people with learning and developmental disabilities, with the ultimate goal of offering new approaches to the mental health system in Kazakhstan. The goal is to reach $10,000 and raise to awareness about the success of the Social Café. 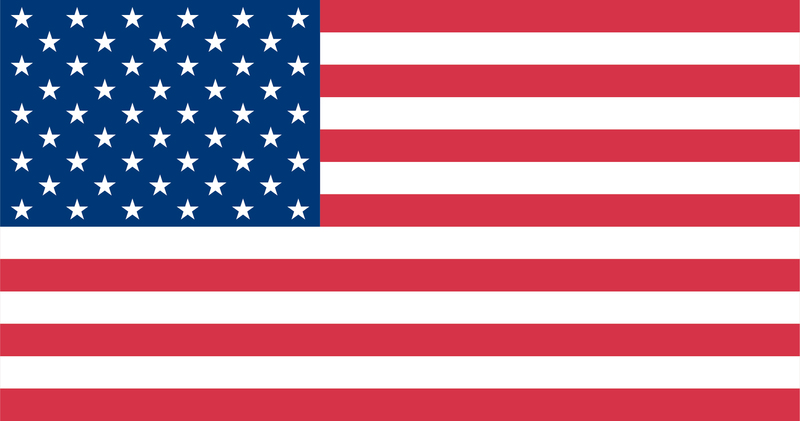 The campaign can be found at https://igg.me/at/kunde/x/16551230. Learn more about the Social Café, below, and at https://www.facebook.com/kundecafe. So, we set the stage for the Social Café – based out of Nazarbayev University in Astana, Kazakhstan; the café offers food services to university students while employing around 20 people with cognitive disabilities and mental illnesses. The café aims to pave the way out of isolation for people with mental health challenges and disabilities. It is also designed to raise social awareness regarding this challenges these people face. 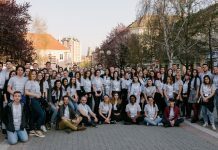 Staff of the café and its founders intend to further incorporate corporate responsibility through the café by developing means for reducing food waste and recycling. 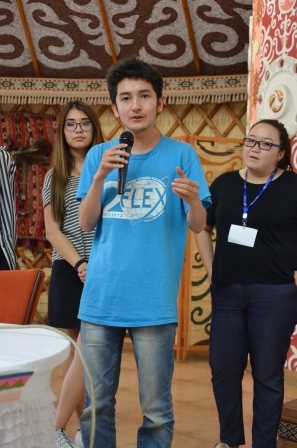 Organizers hope that the café visitors will be moved to become part of the team of young social enthusiasts. Likewise part of the proceeds from the café will be used to develop other initiatives. 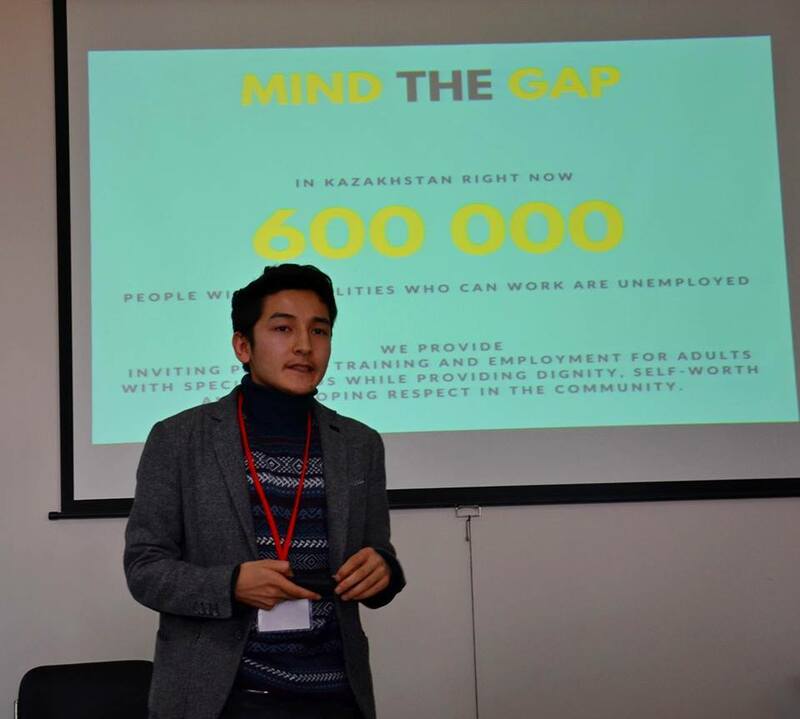 Maulen came up with the idea of a socially-inclusive workplace during the Central Asia FLEX-Ability StartQube Workshop and developed it during the ABC Quick Start Acceleration Programme organized by the Astana Business Campus. The team continues to look for new opportunities. 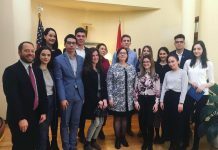 They recently received support from the United Nations Development Programme that agreed to allocate a place for the café in its pavilion at the EXPO 2017 exhibition in Astana. “We are committed to helping people identify their capabilities to further their careers. We want to establish a system that would effectively train and encourage people of all abilities. You know, the people who want to work at the café are brave people. Imagine being stuck at home and taking the first steps to interacting with society, communicating with new people every day. 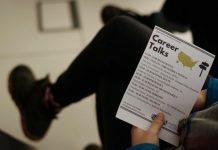 When a person gains personal and financial independence, he or she begins to look at life from a different perspective.” Maulen went on to say, that he ultimately hopes that working at the café will make the employees happier people.